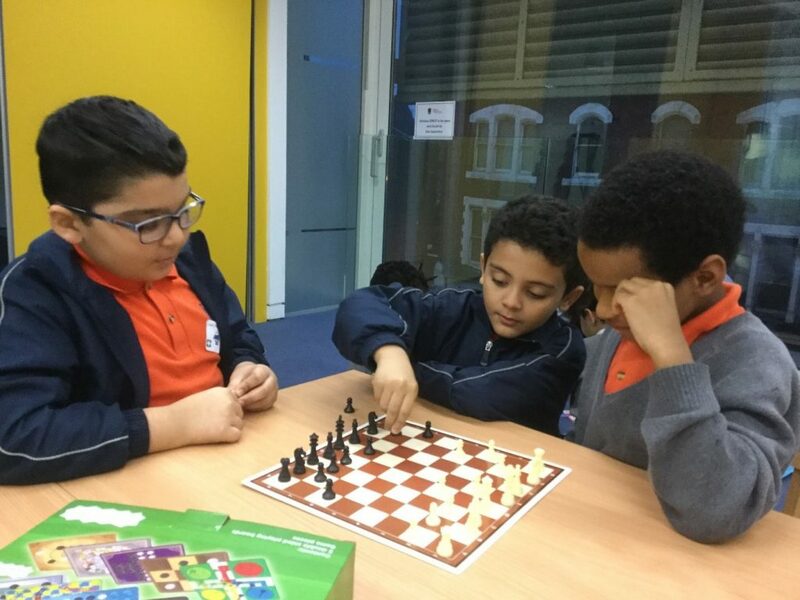 Pupils at Kilburn Grange School have had the opportunity to attend clubs run by staff from education property firm, LocatED. Run over the second half of the Autumn Term, two clubs ‘Latin and Ballroom’ and ‘Board Games’ clubs provide pupils with an opportunity to mix with professionals from the property world and develop new skills. 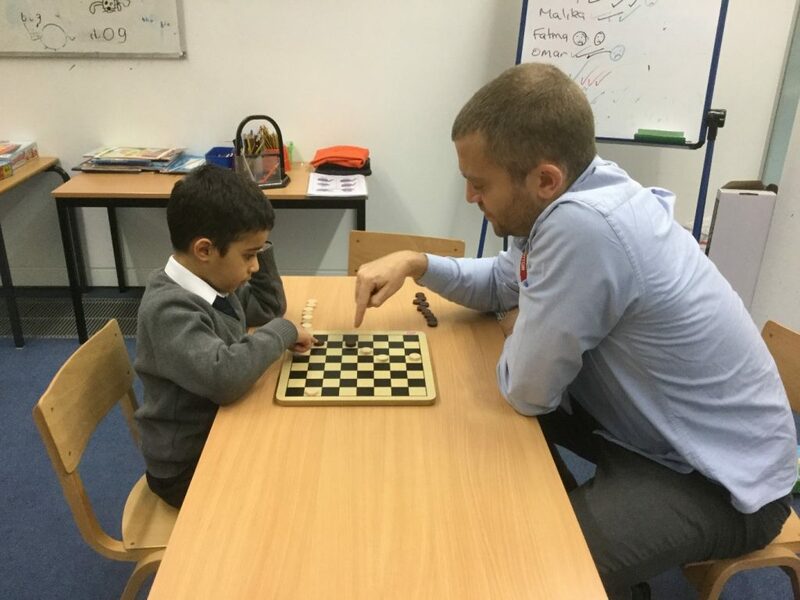 As you can see from the pictures, our children are really enjoying the chance to play chess and develop their strategic skills! 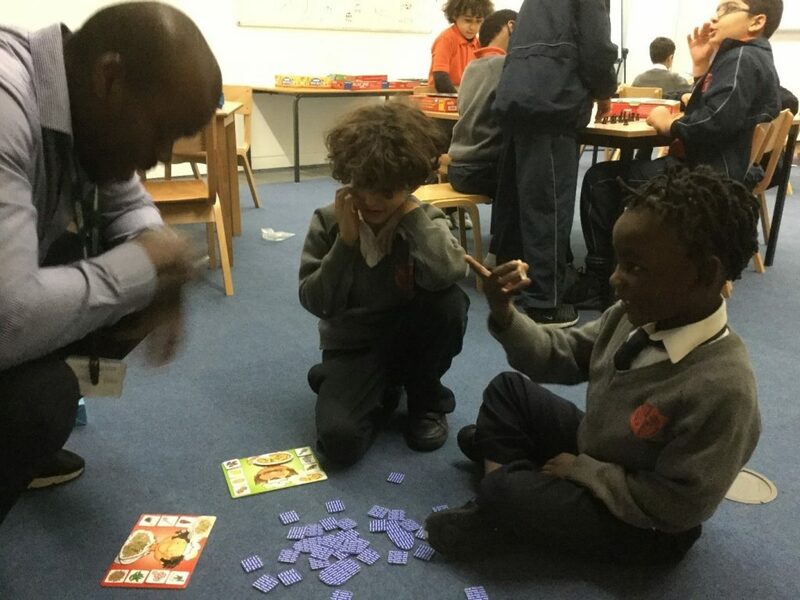 Staff at LocatED were invited to deliver a club for one hour a week at Kilburn, generously suggested by the Chief Executive of LocatED, Lara Newman. LocatED are a government-owned property company creating much-needed school places for thousands of children. For more information on LocatED, please visit www.located.co.uk. Lara commented that “our team were very enthusiastic to work with pupils in schools that we have supported to develop and see that thrive when developing new skills. Understanding what we have helped develop is very exciting!”. Kilburn Grange School would like to thank Lauren, Nadia, Maya, Ravinder, Matthew, Sam, Michael, Alrick and Emma, who have all helped with the two clubs. Amir thinking hard and learning the skills required to play draughts! Fariss, Aiden and Elijah learning to take turns and think through their next move. King and Samuele challenge our visiting club leader to a game of ‘Crafty Chefs’. Who’ll make the best lasagne? We are currently recruiting for an SEND 1:1 ABA Learning Support Assistant – Reception to join us at Kilburn Grange School. Kilburn Grange School is a new Free School, which opened in the London Borough of Brent in September 2015 in state-of-the-art facilities on Priory Park Road, NW6. We are a two-form entry school and at capacity, in 2021 will have 420 pupils. 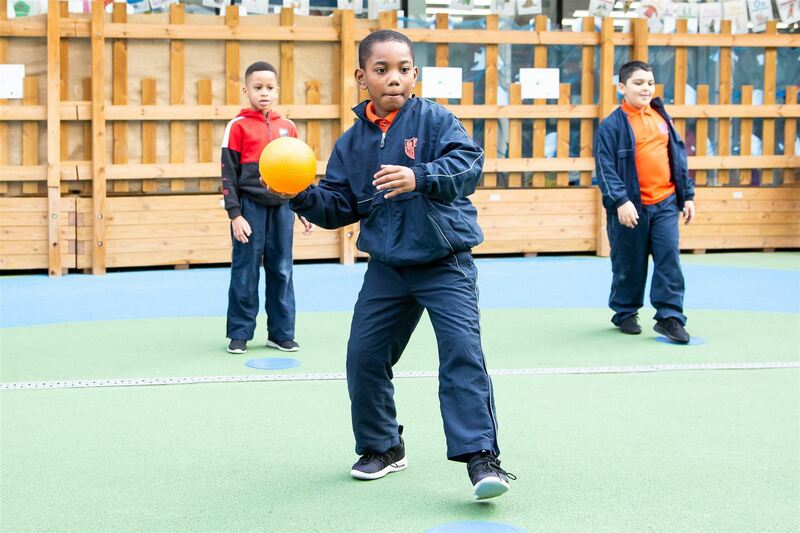 We’re also one of seven primary Free Schools across London sponsored by Bellevue Place Education Trust. We offer a broad and balanced curriculum which is tailored specifically to the needs of our pupils. 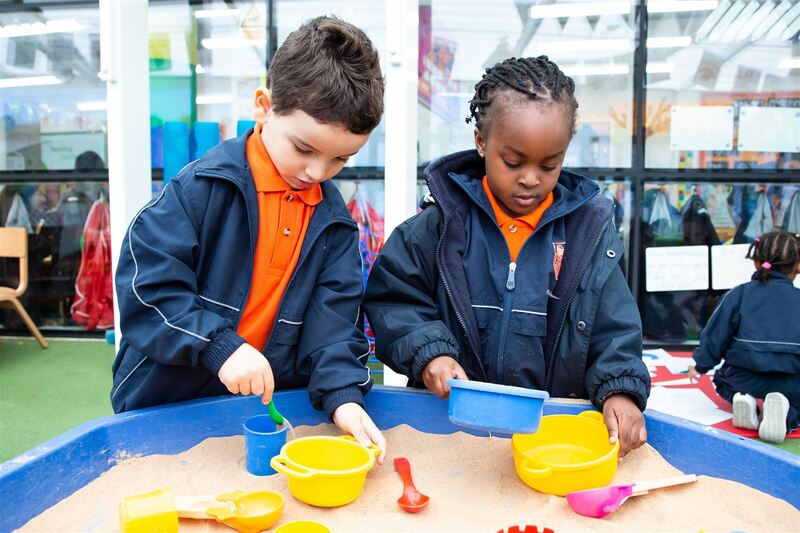 Our aim is to ensure that every child achieves their full potential. We are fortunate to have the flexibility of creating our own unique curriculum around our chosen topics, to also ensure learning is fun, creative and cross-curricular. 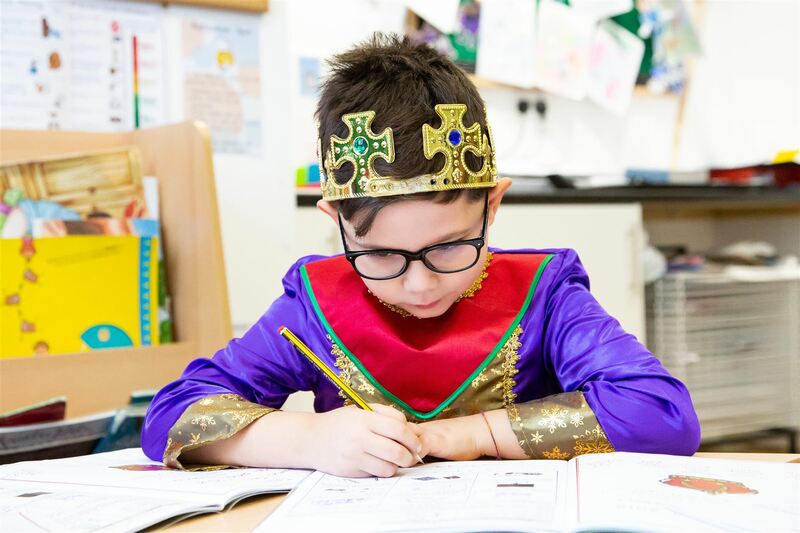 At Kilburn Grange we are a small but supportive team of staff who work closely together, with highly experienced and qualified teaching assistants who support each class. Please find links below to lead you to the job advert and description as well as application forms. 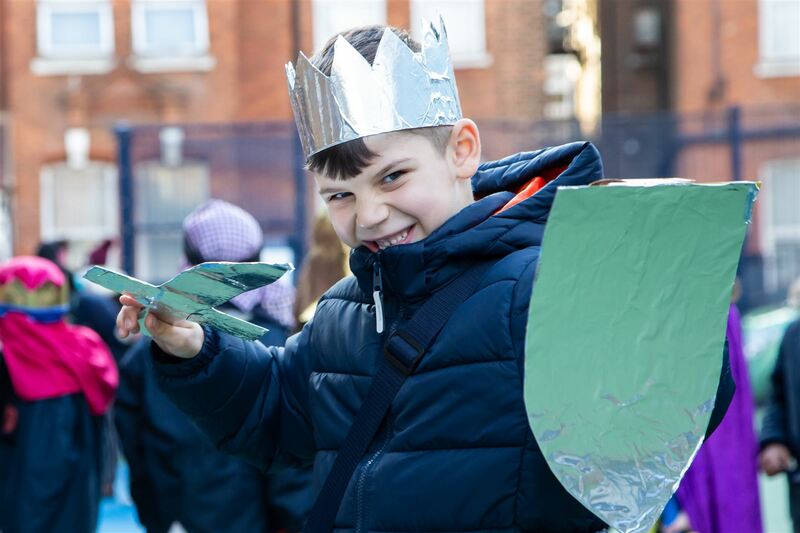 We are currently recruiting for an SEND 1:1 Learning Support Assistant – Year 1 to join us at Kilburn Grange School. 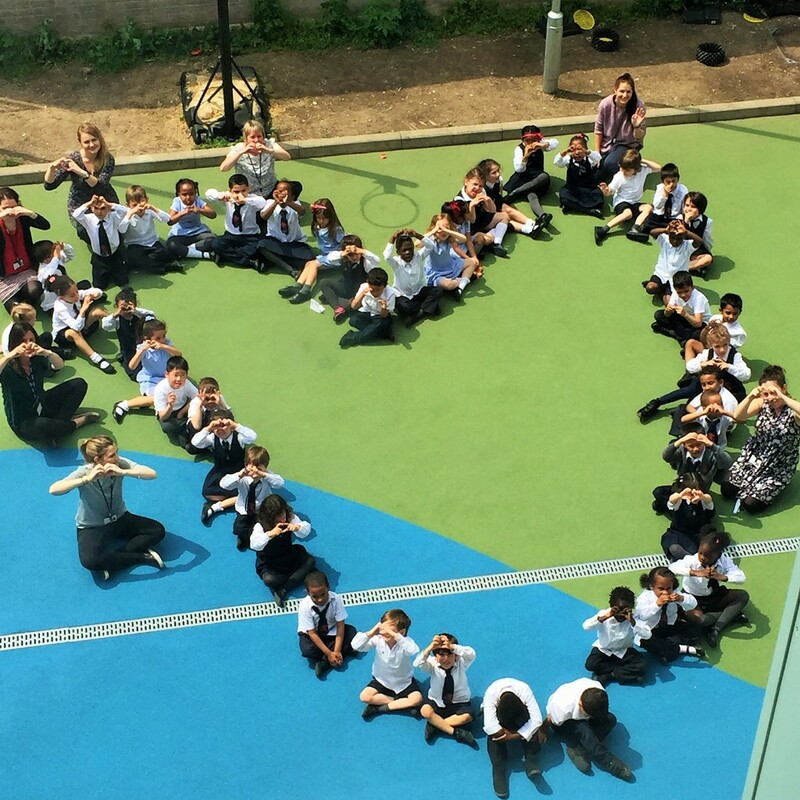 Kilburn Grange School has received its first ever OfSTED report, where inspectors found the school to be “Good” in all areas. Enjoying “the benefits of being part of a successful Trust”, Kilburn Grange has now been recognised as a valuable primary choice for parents and carers in the Brent and Camden area. Opened by Bellevue Place Education Trust in September 2015, the school offers high educational standards, with pupils making “strong progress in reading, writing and mathematics”. The report also praises the school’s emphasis on “personal development”, inspectors remarking that pupils are “encouraged to think critically and develop their own ideas”. Pupils’ access to a “broad curriculum”, alongside the promotion of critical thinking and a varied extended curriculum, is a defining feature of Bellevue Place Education Trust schools. The report notes that Kilburn Grange School meets “the needs of all pupils, regardless of the complexity of their needs”, recognising the centrality of a “school community” in which “all pupils play an active part”. This has a clearly beneficial effect, as “pupils enjoy learning” and maintain “positive working relationships” with staff. Engagement from parents surrounding the inspection was very positive, with 96% considering their child to “make good progress” and 89% recommending the school to another parent. The report recognises that “parents and carers are overwhelmingly positive about the school”, acknowledging their confidence that “behaviour is strong”. Kilburn Grange School now welcomes applications for pupils up to Year 3 and continues to work towards improving its educational offer. Prospective families interested in applying for a place to begin September 2019 can visit the school throughout the autumn term, with tours held every Wednesday afternoon from 2:30pm. If anyone is unable to make the scheduled tours, the school encourages that they get in contact and another can be arranged at the prospective families’ convenience. You can read the full report by following the link: Click here. Beginning school for the first time is a key milestone for new pupils and parents alike, and it can be an emotionally difficult time for both. It’s perfectly natural to feel nervous and excited, though with preparation you can manage this period of change to ensure that you and your child enjoy the first of life’s many transitions! Below are ten top tips that experts recommend to help with the experience. Begin by communicating and ask your child how they are feeling. Is there anything they are excited about and anything that is making them worried? 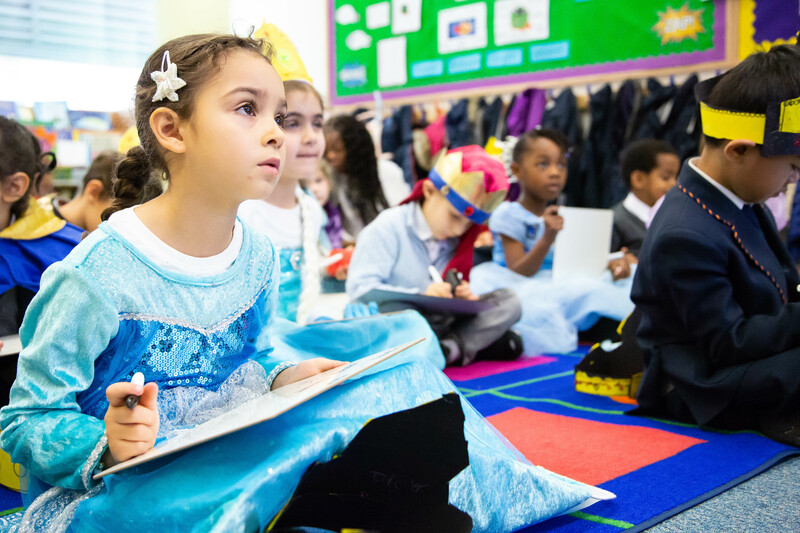 There are a number of books about starting school that you can read together – even the prospectus and website of your chosen school can help initiate these conversations. If your child is worried, try to focus on the many things to look forward to, such as making new friends and the wonderful things they are going to learn. It is perfectly natural to feel nervous about your child starting school, but be aware that your child will take their cues from you. Make sure that you are positive when discussing their new school. If you display confidence and enthusiasm, your child is more likely to feel the same and behave accordingly. Be wary of using negative language, even in the service of sound advice (such as “you won’t be able to act this way in school”). The more experience your child has of doing things for themselves, the quicker they will take to the new school environment. There are a number of domestic tasks that can help prepare your child and teach them independence; such as using a knife and fork, sitting upright at the table, washing their hands and tidying up after themselves. If your child has not already mastered toilet training, this is a skill that will definitely build up their confidence. Teachers and support staff are there to help, and will be ready for dealing with all levels of capability. If there is something that your child finds difficult, be sure to inform them so that they can give special attention to any problematic issues. Trying on their new uniform can be an activity that your child enjoys. Taking pride in looking smart, as well as practicing things like keeping labels at the back and holding sleeves to keep them from riding up will help improve your child’s confidence. Getting dressed and undressed is also an exercise that will be practically useful in preparing your child for P.E. lessons. If they do demonstrate an enthusiasm for their uniform, take a photo and place it somewhere visible – perhaps you could attach it to the fridge? This will help your child to picture themselves at school and allow them to formulate their identity as a pupil-to-be. Though they won’t be expected to write their own name when school begins, it will be helpful if your child can recognise their name on a coat peg or label. This will also be useful for fostering their independence and confidence. Try placing their name on the bedroom door and putting labels on anything you can. Help your child to identify where a label is located and practice identifying belongings by their name. Listening skills can be practiced through games such as ‘Simon Says’ and ‘I Spy’. These will be important to develop in preparation for following a teacher’s instructions. Once simple instructions have been mastered, more complex directions can follow – try adding several together so that your child can concentrate on following multiple commands (such as “take off your coat, wash your hands and then sit down at the table please”). If you know any other children that will be yours’ future classmates, organising a playdate could be an excellent opportunity to help develop their social skills and dispel any worries. Familiar faces can make the first day so much easier. The occasion can be useful to you as a parent too. If the other parents are also experiencing this all for the first time, you can share your feelings and anxieties – if they have older siblings who have been through the process before, their experience could be instructive. This can be well needed practice for you too! It can be a challenge making it out of the house in the morning with a child, especially if you need to keep to a specific time. As the Autumn term approaches, practice the routine so you can both get used to waking in the morning and going to bed at an appropriate time, as well as eating meals when you would on school days. Getting dressed in the morning and eating breakfast to a schedule is important to ensure that you manage to leave home and arrive at school on time. Trialling the school run is a great way to guarantee that you’re fully prepared when the time comes. Before bedtime, baths and stories will help your child to wind down, whilst nutritious meals throughout the day and plenty of sleep each night will be important for helping them to concentrate and learn during their days at school. As this guide began, so it concludes – by stressing the importance of communication! You know your child best and if there’s anything that could help them settle in, be sure to suggest it to their teacher and support staff. Hopefully this guide will help make starting school the exciting opportunity that it should be! If you have any further questions, please don’t hesitate to get in touch with us at the school – remember, we are here to help! General Data Protection Regulation is legislation designed to make it easier for you to control how Kilburn Grange School uses parents/carers personal details and those of pupils. We have a data protection policy and a privacy notice so you can see how we meet these requirements. You can find these under the school policies section on this website. 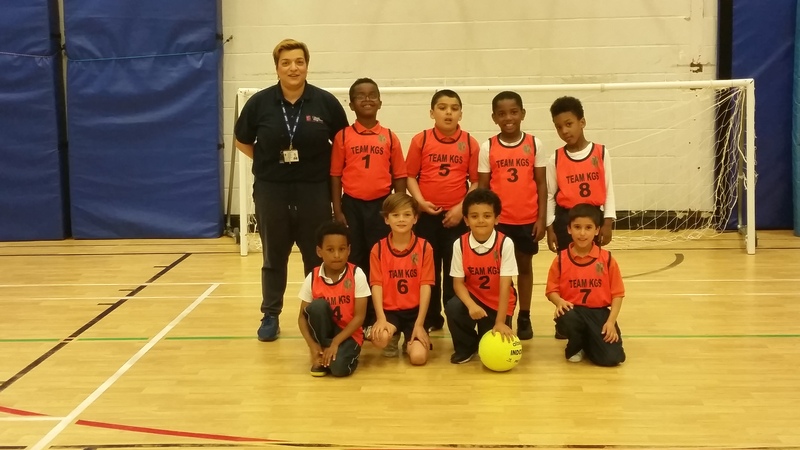 Kilburn Grange School football team had a friendly game with Hampstead International School on Tuesday 22nd May. It was a great game and we won the match 5-2! Congratulations to everyone for a fantastic performance. We can’t wait for the next! Engagement both inside the classroom and beyond is crucial to what we do as a school. We therefore appreciate any and all help from parents and carers in this regard, and hope to provide assistance wherever we can. As parents and carers are by now no doubt aware, Kilburn Grange is a school that places a large emphasis on regular feedback. That’s why this month we’ve asked our families to complete two questionnaires! We’ve also sent out Parental Surveys as part of Bellevue Place Education Trust’s annual improvement review cycle. If you have received the questionnaire, please complete it by Wednesday 30th May to ensure that your views are counted. This is an important part of the school’s planning process and feedback will feed into the School Development Plan, along with the strategic planning of the Trust. We appreciate the effort that goes into completing these surveys and only ask so that we can improve our offering, wherever we can. Your opinions are very valuable to us and we look forward to hearing them! We would like to welcome our new Site Superviser Mr Philippe Lamara to Kilburn Grange School! 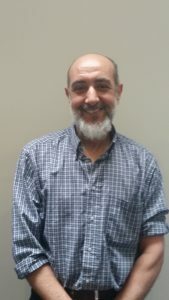 Mr Lamara has specialised as a site supervisor in a range of diverse school environments across London, working in primary, secondary and University settings. Previously based at the Royal College of Arts, Mr Lamara has rigorous training in health and safety protocol and has received both First Aid and Fire Safety training. 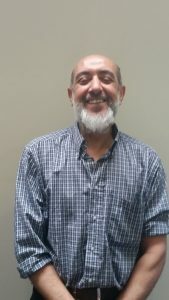 With his widespread DIY knowledge and years of experience as a premises assistant, Mr Lamara is committed to creating a safe and enjoyable learning environment in his role as Site Supervisor at Kilburn Grange School. Copyright © 2019 Kilburn Grange School | Website Design by Pete Caine Creative Consultancy.